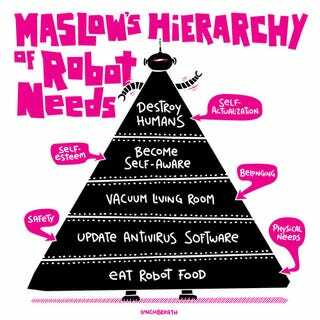 Psychologist Abraham Maslow may have influenced generations of self-help gurus with his ideas about the hierarchy of human needs. But he forgot to explain robot needs. Luckily his omission has been corrected with this handy chart.